According to TRGS 905 inorganic fibres with a size of: length of > 5 µm, diameter < 3 µm, length/diameter ratio > 3 : 1, asbestos excepted. The Kanzerogenitätsindex, KI, is a nondimensional value and calculated from the chemical composition of the mineral fibres to be tested. According to the IFA / BIA procedure 7488, the KI results from the mass contents in % of Na2O, K2O, CaO, MgO, BaO and B203 less twice the mass content of Al203. 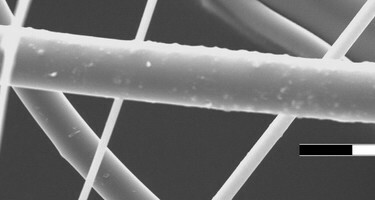 Vitreous mineral fibres are classified according to their KI as defined in technical rule TRGS 905 as follows if their size complies with that of the WHO fibre definition: length > 5µm, diameter < 3 µm, length/diameter ratio > 3 : 1. Vitreous WHO fibres with a Kanzerogenitätsindex, KI <= 30 are classified in category 1B. Vitreous WHO fibres with a Kanzerogenitätsindex, KI > 30 and CI > 40 are classified in category 2. The classification of vitreous WHO fibres as carcinogenic does not apply in case of a Kanzerogenitätsindex, KI >= 40. Analysis of existing WHO fibres for the Kanzerogenitätsindex KI according to IFA / BIA procedure 7488 for € 112 net, € 133.28 VAT incl. 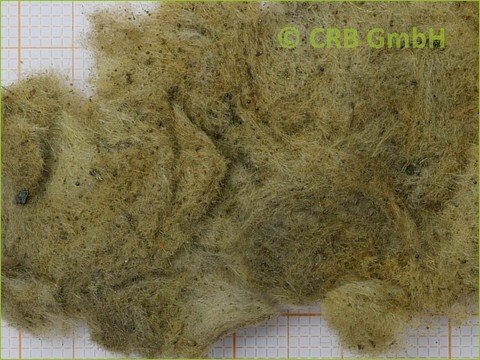 All mineral fibres which have been marketed since 1 June 2000 have passed the relevant biocompatibility tests according to EU Law or German law and are considered as “New Mineral Wools” as defined by technical rule TRGS 521 and are therefore classified as non-hazardous. Mineral fibres that have been marketed between 1996 and mid-2000 might have been exonerated by biocompatibility tests or are classified as “New Mineral Wools” and not as CI 40 fibres and meet the criteria for exoneration from carcinogen classification according to the Ordinance on Hazardous Substances. Hier bietet die Gütegemeinschaft Mineralwolle e.V. einen Test an, ob Mineralwollen aus diesem Zeitraum freigezeichnet wurden. All mineral fibres with the date of manufacture 1995 and earlier are considered as 'Old Mineral Wools' as defined by technical rule TRGS 521 and are therefore to be classified as hazardous according to TRGS 905. German sets of rules and regulations for built-in mineral wools with an unknown date of manufacture, without RAL Quality Mark or the evidence of biosolubility provide no possibility to differentiate between so-called old and new mineral wools. A carcinogenicity test according to paragraph 3 or the determination of the in vivo biosolubility according to paragraph 4, chapter 2.3 TRGS 905 is barely possible in the case of built-in mineral wools. A subsequent liability declaration of built-in mineral wool by means of biosolubility tests is not possible. The assessment of old mineral wools according to TRGS 521 or of such mineral wools with an unknown date of manufacture is based on German regulations (TRGS 521, TRGS 905) by testing for respirable WHO fibres and the determination of the Kanzerogenitätsindex KI provided that they are not generally classified as carcinogenic.